Taipei, Taiwan – January 20, 2015 – ADATA® Technology, a leading manufacturer of high-performance DRAM modules and NAND Flash application products, today launches the Gold Edition of its XPG Z1 DDR4 overclocking memory, clocking in at the outrageously high speeds of 3000/3200/3300/3333MHz – an increase over the original XPG Z1 DDR4 lineup. 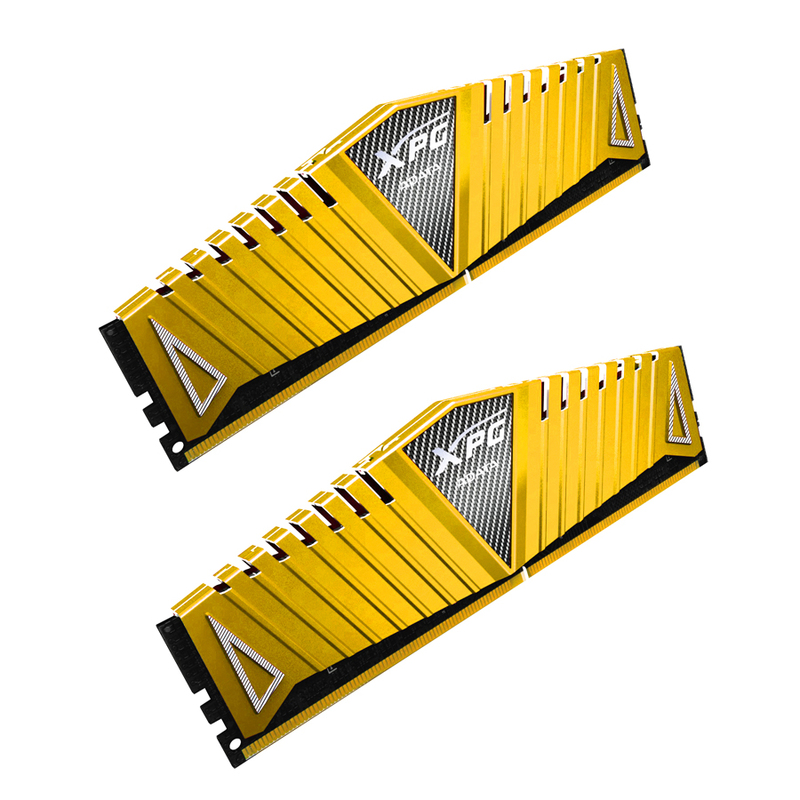 Besides supporting the latest Intel® Haswell-E platform, ADATA’s XPG Z1 Gold Edition DDR4 also provides ultimate performance for gamers, overclockers and PC enthusiasts, and also features higher power efficiency. 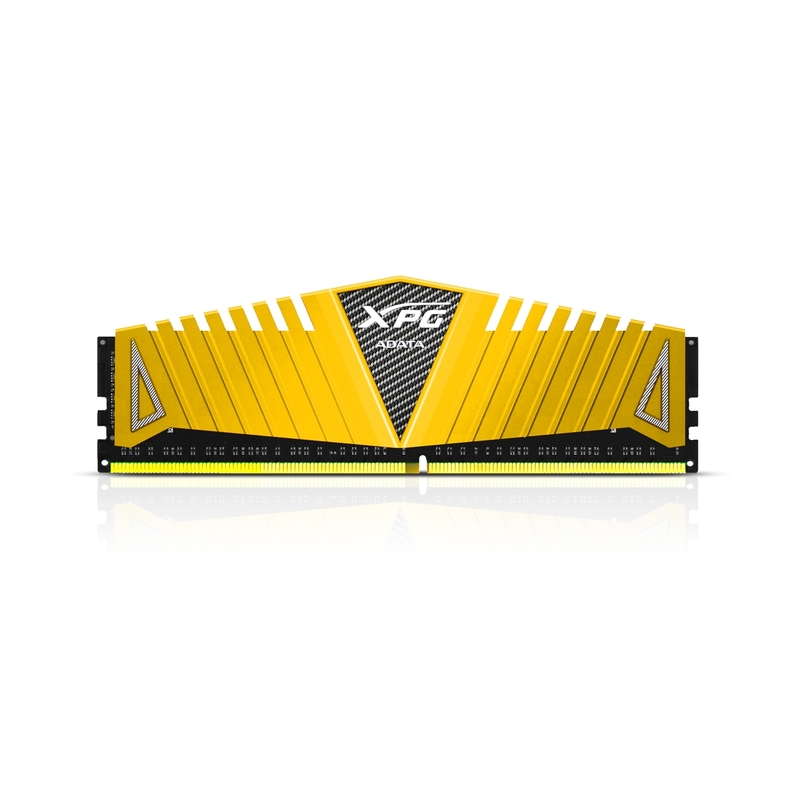 With speeds of up to 3333MHz, CL16-16-16 timings and a transfer bandwidth reaching 26.6GB/s, the XPG Z1 Gold Edition provides unparalleled data transfer efficiency. In addition, the built-in Intel® XMP 2.0 Serial Presence Detect (SPD) allows quick and easy installation without changing BIOS settings, all while facilitating full system usage and enhanced stability. This adds up to a true game-winner for overclockers seeking an extra edge. The XPG Z1 Gold Edition features a jet wing-inspired design with a race-car carbon texture that embodies the pursuit of extreme performance. Thanks to its unique Thermal Conductive Technology and 10-layer PCBs with 2oz of pure copper, the XPG Z1’s chips contact the heat sinks directly, thus ensuring that the IC and PCB operate at an evenly distributed temperature. This lends to a markedly reduced electrical resistance and reduced power consumption. Combined as one unit, all of these attributes bolster the XPG Z1’s signal transfer quality and overall performance. The XPG Z1 DDR4 DRAM memory module is made with high-quality chips selected through a strict quality filtering process. It also uses top quality Printed Circuit Boards (PCBs) that effectively extend its serviceable lifespan. Additionally, ADATA memory modules provide customers a lifetime warranty for maximum assurance, all backed by excellent customer service. DDR4 memory surpasses legacy DDR3 with improved performance and lower power consumption. The operating voltage of XPG Z1 has decreased from 1.5V to 1.35V, a 10% reduction of power that helps your system operate at a lower temperature for more stable operation.